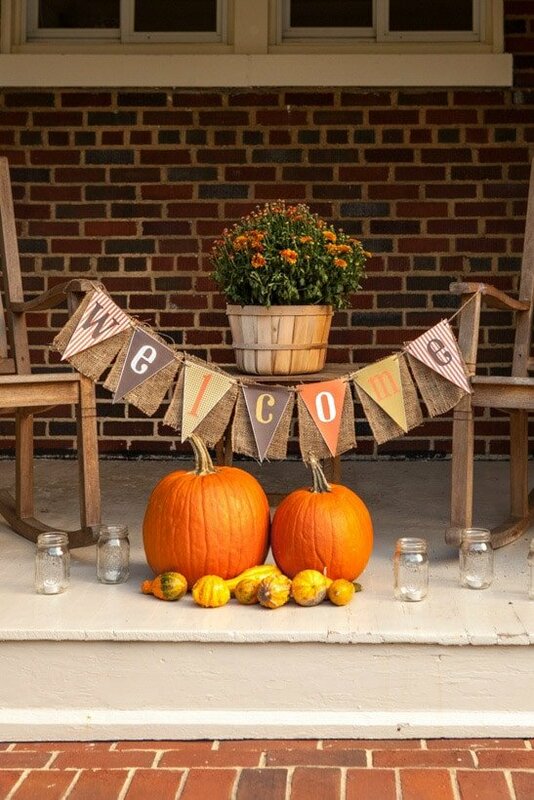 The ultimate list of fall party ideas including everything from fall party themes to fall party games and more! 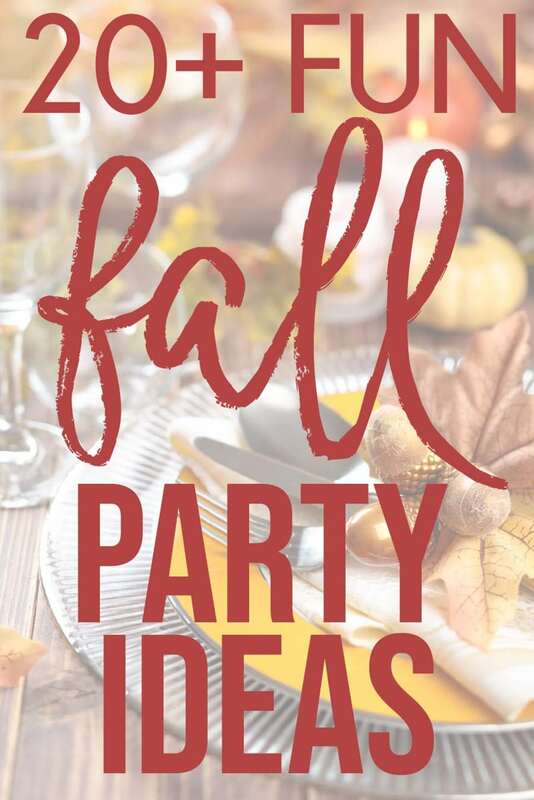 Whether you’re looking for fall party ideas for kids, fall party ideas for adults, or something in between – this collection of fall party themes has something for everyone! This post contains affiliate links. If you purchase via those affiliate links, I may receive a small commission at no additional cost to you. Fall is really the perfect time of year for a party. 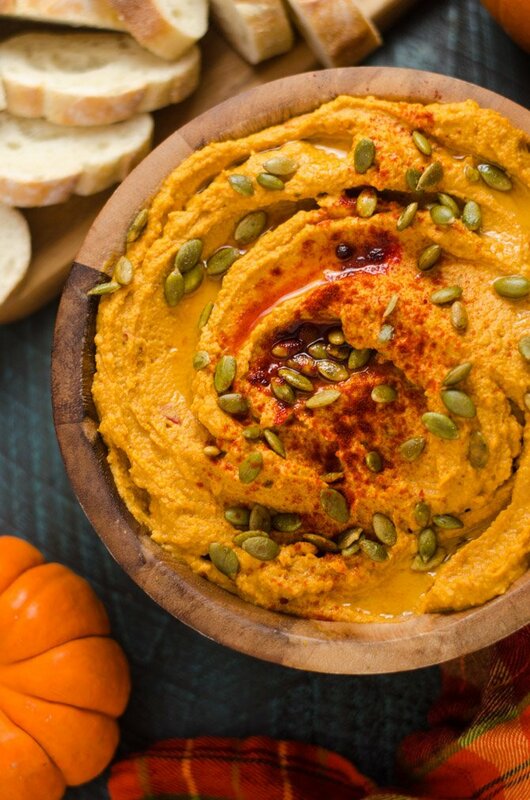 The weather is typically ideal for having people indoors or out, there’s plenty of football on TV to keep the guys entertained, and who doesn’t love any food made with pumpkin. With so many reasons to throw a party, now all you need to do is throw one. To help you out, I put together some of my favorite fall party themes and with each included a couple of games, food ideas, and even decorations! Okay disclaimer, these fall party ideas aren’t just for kids but these are the most kid-friendly out of the bunch! There are also a number of ideas under other fall party ideas that would totally work with the right theme. Kind of like an ice cream sundae party, have friends come over to make and top their own caramel apples to enjoy. You can provide the toppings or have friends bring their favorite to share. 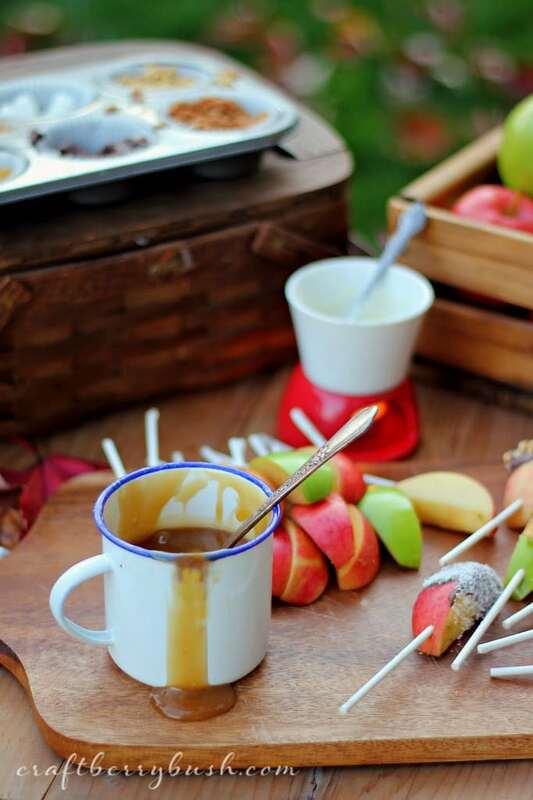 Get more ideas for caramel apple toppings here! And since people don’t typically like to eat their caramel apples right away, setup a caramel apple nacho bar for people to enjoy their favorite caramel apple toppings during the party! Another fun idea is to do a caramel apple walk where people win gourmet caramel apples (or other apple themed prizes like these caramel apple soaps! Send your friends and family pumpkin carving party invitations, setup a pumpkin photo booth, and have everyone bring their own pumpkin to decorate/carve together. Make sure to put down plastic or newspaper because this one can get really messy. For even more fun, have a time limit and offer a prize to the pumpkin that’s voted the best by the group. Maybe something like this pumpkin carver extraordinaire mug for adults or a pumpkin themed book for kids! And don’t forget the food – anything pumpkin or in a pumpkin goes! We love making these mini pumpkin pizzas, this pumpkin crunch cake, and serving this spinach artichoke dip in a pumpkin! Use your party as an excuse to show your gratitude and give back. Invite friends over to complete a service project (make bag lunches, tie quilts, etc.) together. Some fun service ideas include making treats for friends and handing them out with these you’ve been treated tags or playing Supermarket Sweep then delivering the groceries to people in need! If you want to serve food, try having a potluck where everyone brings their favorite side dish or dessert and you provide the main course. This homemade chicken noodle soup is always a big hit! Put napkins and silverware in a harvest themed cornucopia. 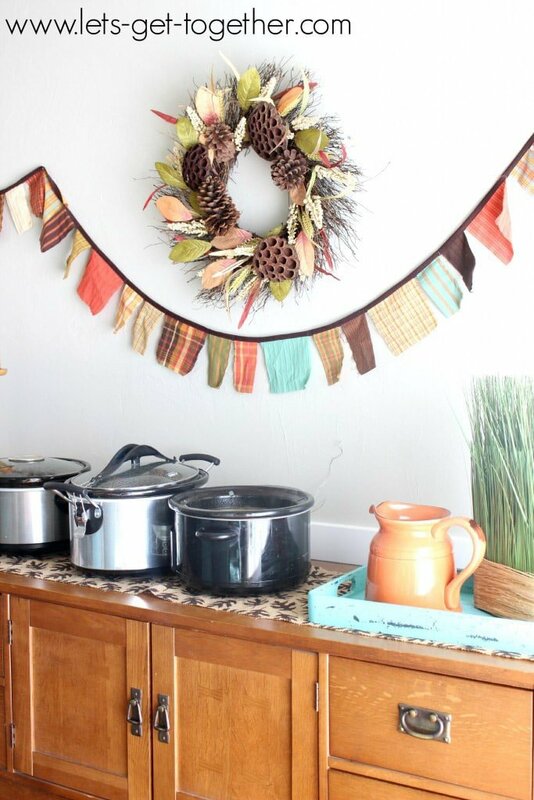 Even though you may be leaving the house, it’s still fun to decorate for a harvest party. 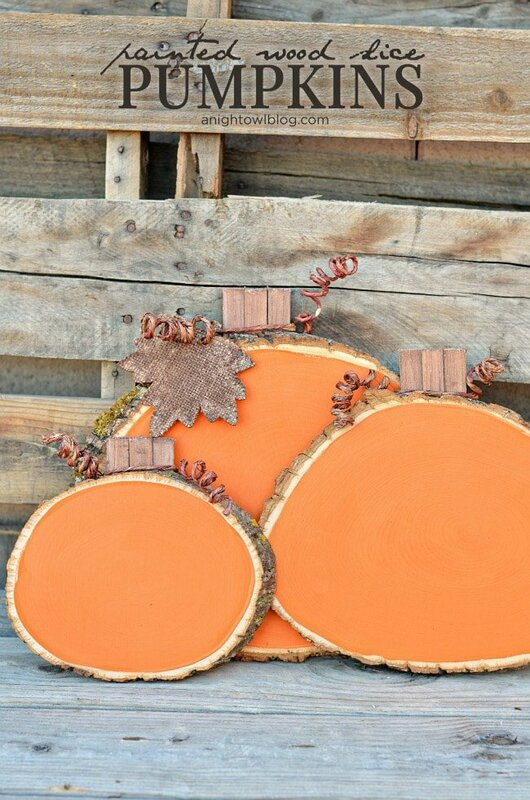 Here are some great fall printables you could use with any fall colored decorations! Invite your friends over for a night full of fun fall party games! There are over 15 party games in this list that don’t take anything more than a couple of simple things around your house! Never played minute to win it games? I’ve got you covered with full details on how to play minute to win it games. Make a full night of it by serving quick fall recipes (that might take you just a little bit longer than a minute) like chocolate acorns, these mini pumpkin cinnamon rolls, and the best pumpkin bars! Oh and don’t forget prizes for the game winners! If you’re doing a team winner, fill one of these apple baskets wth fall themed items like fall socks, fall candles, or fall stickers for kids! Just like the fall party ideas for kids above – these fall party ideas would work for kids as well, but they’re geared more toward adults and having fun with your adult friends on a night off! There are two ways you can do this. One is have everyone make their best pumpkin dish at home and bring it to share. Judge based on taste, creativity, and presentation (people can get super creative with this!). Choose three unbiased judges to pick the best dish. Or do this more Chopped style where everyone comes and has to make something in a certain amount of time out of a basket of food that includes pumpkin. This version is way more fun but you won’t be able to do too many people since they’ll likely all be sharing one kitchen to cook! If you want to invite more people, have some people come to participate, others to judge, and others to watch and enjoy the final products! Once the judges have crowned a winner, award them with some sort of fall cooking prize like these wooden spoons with pumpkin designs or a fall themed cookbook! Since people will either be bringing food or cooking it for you, no need to make anything else to eat. But don’t forget the drinks to wash down all that pumpkin goodness. 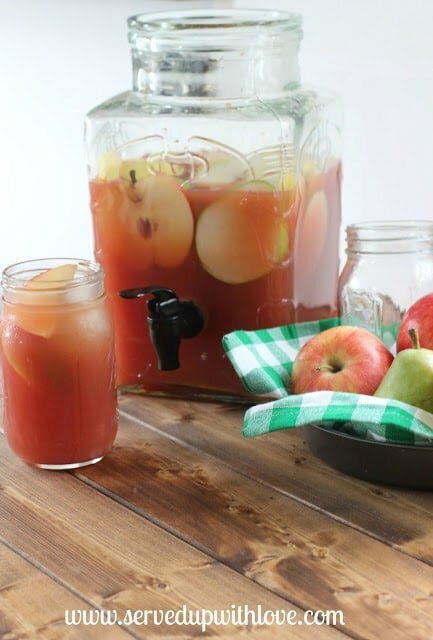 This apple harvest punch will hit the spot! Invite friends over for a night of games and laughing. Stick with the fall theme by doing any of these adult party games using only words that have to do with “fall.” Or you can skip the fall theme and go with any of these board games for adults too! Since people will likely be touching cards or each other, choose finger foods that won’t leave sticky or greasy hands. These spinach artichoke cups are a family favorite, and I’ve been meaning to try this pumpkin hummus too! Invite over either friends who you want to get to know better or friends from different circles that don’t know each other well. Play getting to know you games or these group games and increase your circle of friends. 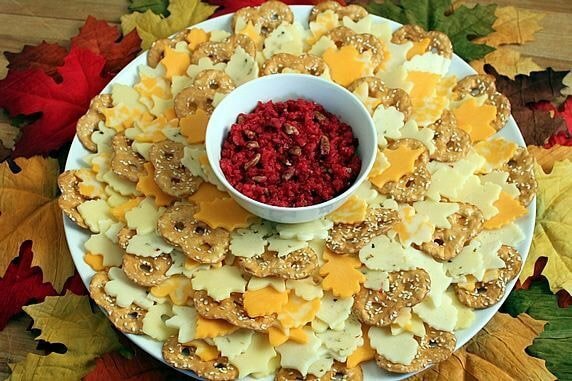 Since the theme of the night is breaking the ice and making new friends, serve food you’ll need to keep on ice or chilled like this million dollar dip, chilled shrimp cocktail, or this autumn leaf cheese plate. I’ve seen this theme for weddings before, but I think it could be a really fun couples date night party idea as well! Simply invite a number of your couples friends over for a fun night filled with couples games (these fall party games would work great), or any of these fall group date ideas! Decorations are easy if you use fall themed food and a heart shaped cookie cutter! 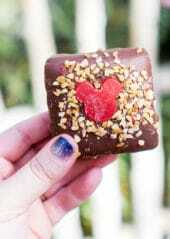 And don’t forget to send everyone home with these cute thanks for making our day sweet favors! 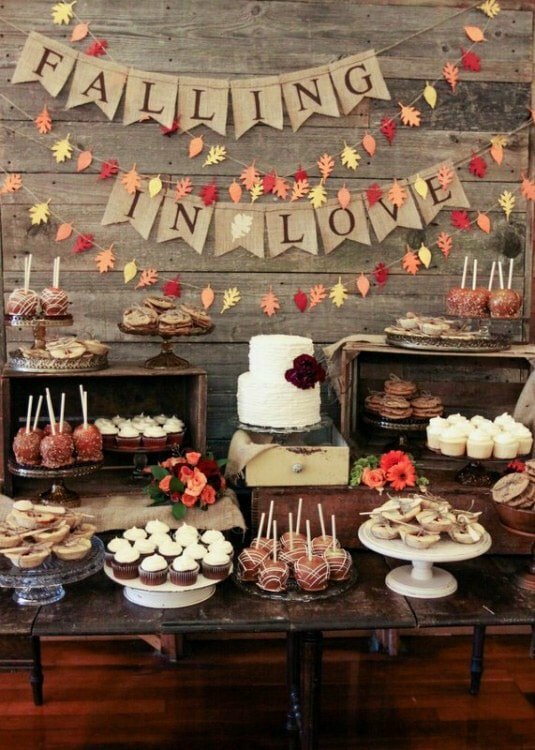 Here’s a beautiful fall dessert table setup if you need ideas! Kids are back in school, and it’s time for the women to party! Just kidding but not really – these fall party themes are specifically for women who wants a girls night (or day) out. Any of the other fall party themes in this list could work for women only too but these are designed for women specifically! For some reason fall just means all things crafty. Maybe it goes back to that whole kids are in school thing. 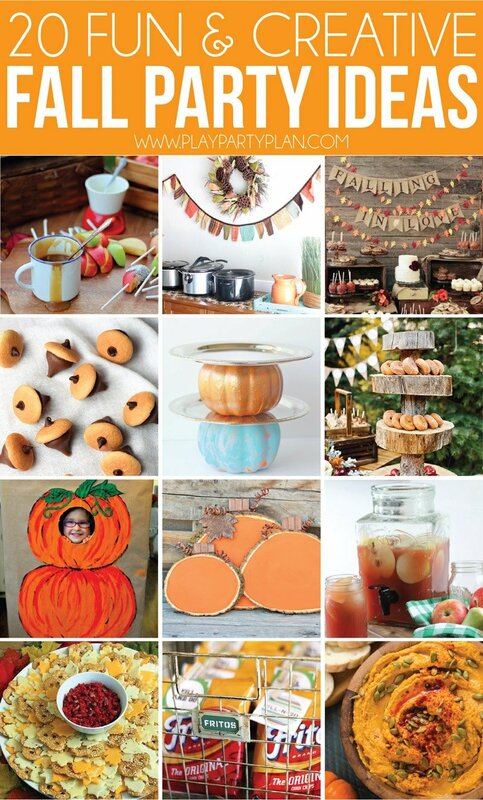 Invite friends over to make everything from painted wood slice pumpkins to fall luminaries. Just make sure whatever craft you’re doing, you provide all the supplies or else people will likely forget something. In the past when we’ve done this, I buy the supplies and either just eat the cost (if it’s cheap) or my friends pay me when they come! Not sure where to get wood slices? There are plenty of options here! Food on a craft night needs to be similar to game night – delicious but not going to disrupt the crafts. Something handheld like buffalo chicken rollups or this maple bacon crack would be perfect! One of my favorite things to do is have all of the girls over to share their favorite things with each other. 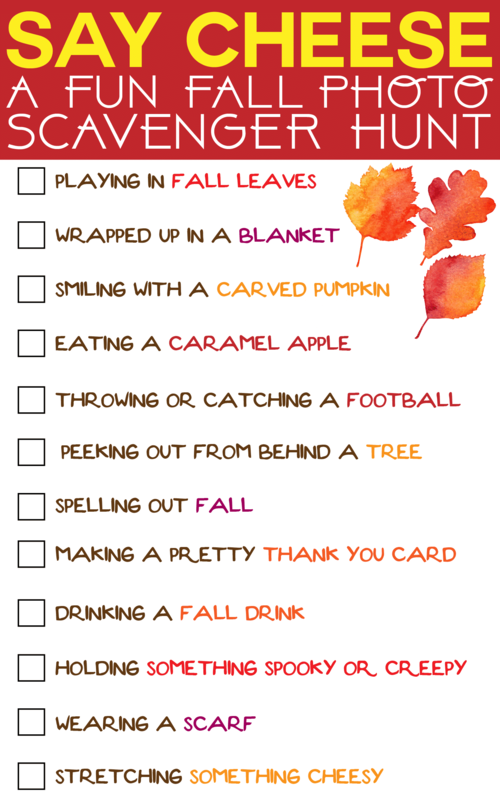 Add a twist and have friends bring their favorite fall item like scarves, caramel apples, fall crafts, etc. I’ve written up full instructions on hosting a favorite things party here but the basic idea is that everyone brings three of their favorite item (so like I would bring three of these) wrapped to add some fun. Then at the party, each person picks three numbers and those people go home with their gift. It’s seriously one of my favorite parties ever! For a fall favorite things night, you could decorate either in fall themed things or you could go traditional like these invites with brown paper wrapping and string (from the Sound of Music song). Or go totally untraditional with any color you want like this black and white version! And for food – either serve your favorite things or have everyone bring their favorite thing to share. Even better if they give you the recipe so you can share all of the recipes with your guests! If it was my party, we’d be having striped delight and pizza loaf! This could be whatever you want it to be, just invite friends over for lunch and enjoy time together. No other activities or planning necessary! 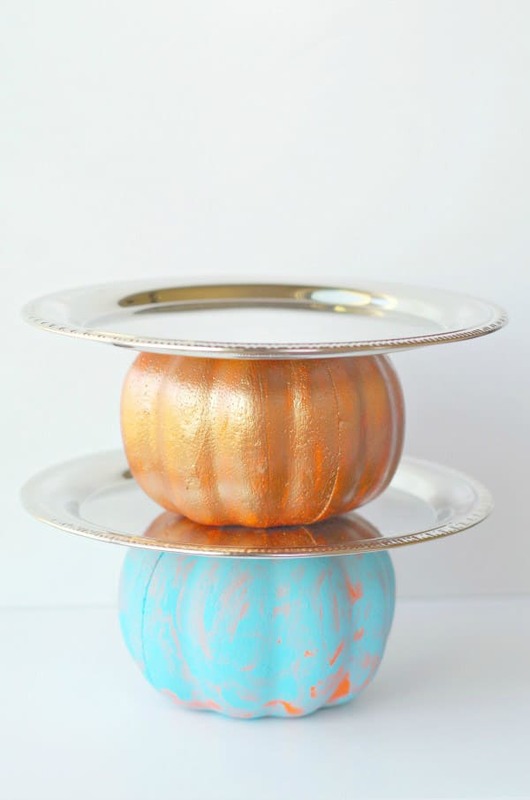 Just decorate with some pumpkins or apples and maybe serve things on this DIY pumpkin serving tray and you’re golden! My top picks for a light lunch would be sliced balsamic chicken with a kale salad, this strawberry salad recipe, or a make your own bahn mi bar! One of my favorite things about the fall is the food. Pumpkin crunch cake, butternut squash soup, you name it – I love all the fall flavors! 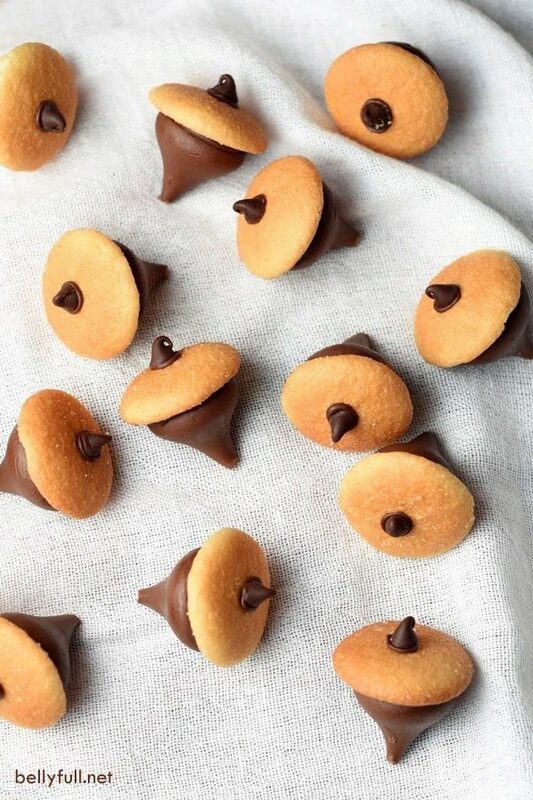 These fall party ideas are designed specifically around some sort of fall food! Have friends bring their best chili to share and have judges pick a winner to give out a fun prize like this chili cookoff cutting board! 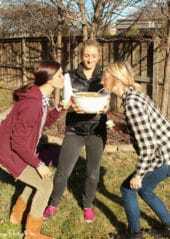 And don’t forget a prize for last place – this chili cook-off toilet bowl trophy is hilarious! This is always fun when paired with a Halloween carnival as well! Since the chili will be the main thing people are eating, just supply the fixings to go with – chips, cornbread (I love this recipe), and possibly hot dogs and buns if you want to do cheese coneys. 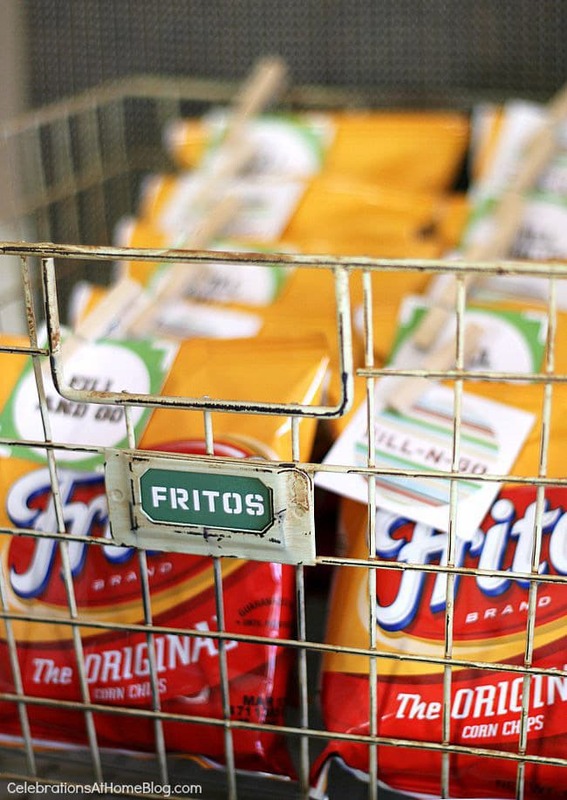 Or do Fritos and give people the chance to just enjoy walking chili like at this fun party! Need great chili recipes? This white chicken chili and this Cincinnati chili have won many chili cook-off awards in the past! In our house fall means that there is football on all weekend. Why not make your football watching into a party? Invite friends over to watch a big game, serve tailgate style appetizers like these buffalo chicken stuffed potato skins or bacon ranch beef sliders. If not everyone is into the big game, print out these football bingo cards to make it a bit more interesting! 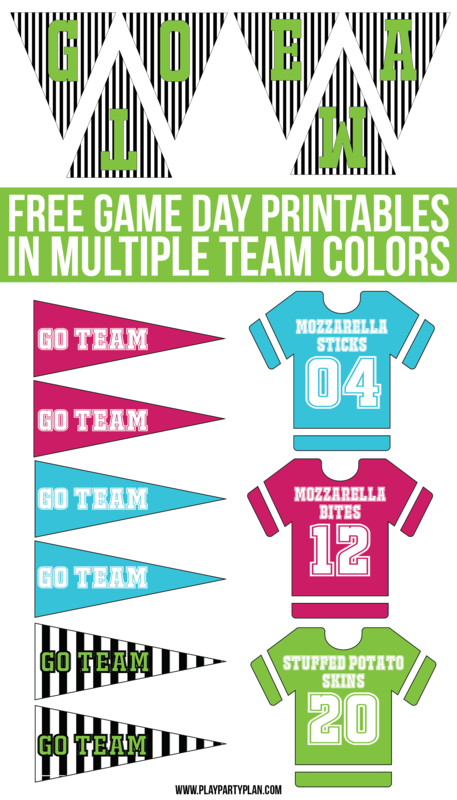 And use these fun football party printables to add a bit of color to an otherwise full color scheme! One of my all-time favorite thing about the fall is apple cider donuts. I still haven’t figured out where to get them in Texas but once I do, it’s on. Invite your friends over to make any donuts – these rainbow donuts, these apple cider donuts, or these glazed donuts then top them with fall colored sprinkles and treats. And if you’re not over donuts, setup a fall themed donut dessert table like this one! 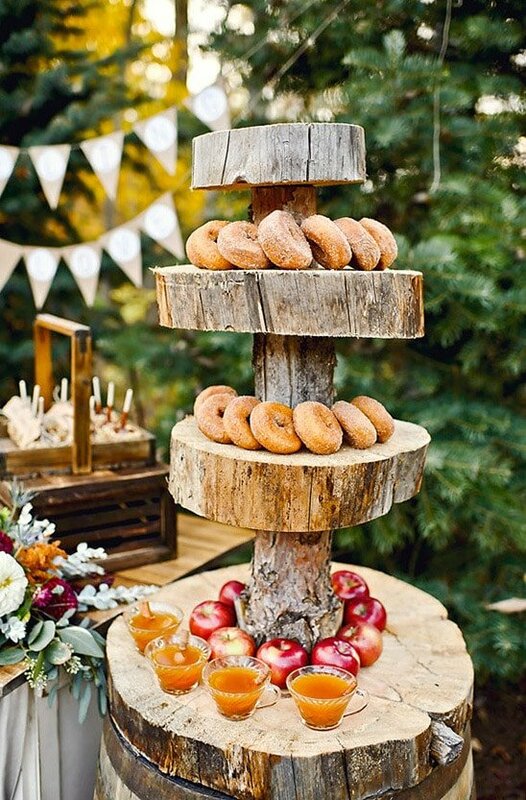 This rustic wood slice cake stand would be perfect topped with donuts! Have a party themed around one of the favorite fall meals – soups and stews. Whether it’s this homemade chicken noodle soup or this butternut squash soup or another favorite – serve them in crockpots to keep them warm! Have guests bring salad, bread, or drinks to go with the soup so they’re not having to drive with soup in their car. We all know how tricky that can be! As a fun favor idea, send everyone home with the soup recipes and these cute customized spoons! Or switch it up and host a soup swap instead where everyone brings their favorite soup and swaps with people so everyone goes home with soups for the week! And last but not least – the other category. These fall party themes are ones that didn’t really fit in any of the spots above. Tons of fun fall party ideas here, some that even include a little creativity or imagination on your part! This one is pretty self-explanatory but Halloween is a great excuse to throw a party. Try throwing it not on Halloween so people don’t have to try and figure out the one thing they want to do that night. 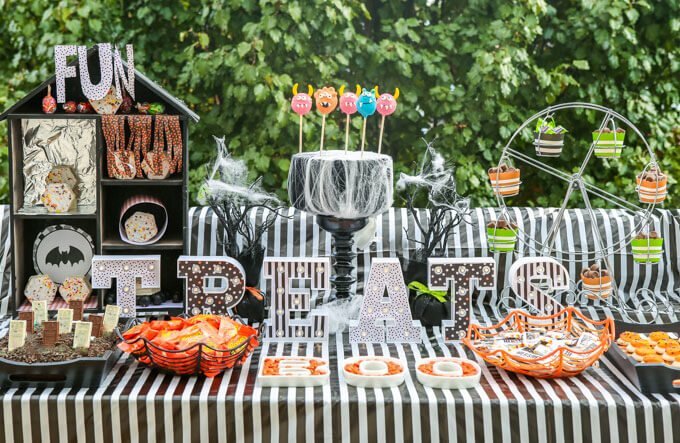 These are just some fun Halloween party ideas that we’ve used over the years! This could be a combination of any of these ideas, just a party centered around fall. Decorate with leaves, pumpkins, and fall colors. Serve pumpkin crunch cake, soups, caramel apples, and any other fall seasonal items. Have a “how many candy corn guessing contest,” play touch football outside, and just celebrate the beautiful weather and gorgeous colors. Or even better – split into teams and see who can finish this fall photo scavenger hunt first with these fun “oh, snap” camera t-shirts or these gorgeous fall photos for the winners! For those of you who are mourning summer and not excited about fall, throw an anti-fall party with a beach, luau, or any other theme you do like. If it’s warm enough, play water games or outdoor games. September 9th – Teddy Bear Day sounds like an excuse to host a teddy bear picnic to me. Well really these teddy bear straws seem like a good excuse too! September 19th – Talk like a Pirate Day means going to Krispy Kreme for free donuts first and then having friends over for a pirate themed party. I’ve got all the pirate party ideas you need here! September 21st – World gratitude day would be a perfect day for a service project like I mentioned before. Another good day would be September 29th, which is world heart day! September 26th – Johnny Appleseed day sure seems like a good day to try out any of these apple party ideas! Another great option is apple day on October 21st! October 6th – Mad Hatter Day has so many ideas to go with it, I don’t even know where to start. But please give your guests these mad hatter hats as party favors! October 25th – World Artists Day is a good excuse to try any of these art party ideas! October 31st – Caramel apple day – see above! November 3rd – Sandwich Day could be a fun food themed party – play this sandwich game, enjoy all sorts of sweet and savory sandwiches, and see who goes together best! November 6th – Nachos day calls for a fall fiesta! Make regular nachos or setup a caramel apple nacho bar. Just enjoy nachos at their finest! November 26th – Cake Day falls near Thanksgiving so it may not work but doesn’t a cake themed party just sound amazing? From this Snickers Poke Cake to the best chocolate sheet cake, I’d come to a cake party any day! Fill in the blank with your favorite thing and throw a party based on it. An example would be fall in love with pizza party and throw a pizza party. Or maybe something more obscure like fall in love with sushi and throw a sushi making party. Send your family away for the night and spend a night by yourself reading, relaxing, going to bed early, or whatever else you find restful. Highly recommended after throwing any of the parties above and my absolute favorite kind of party! Even more recommended? Going to bed early after taking a nice long bath with one of these soothing bath bombs. 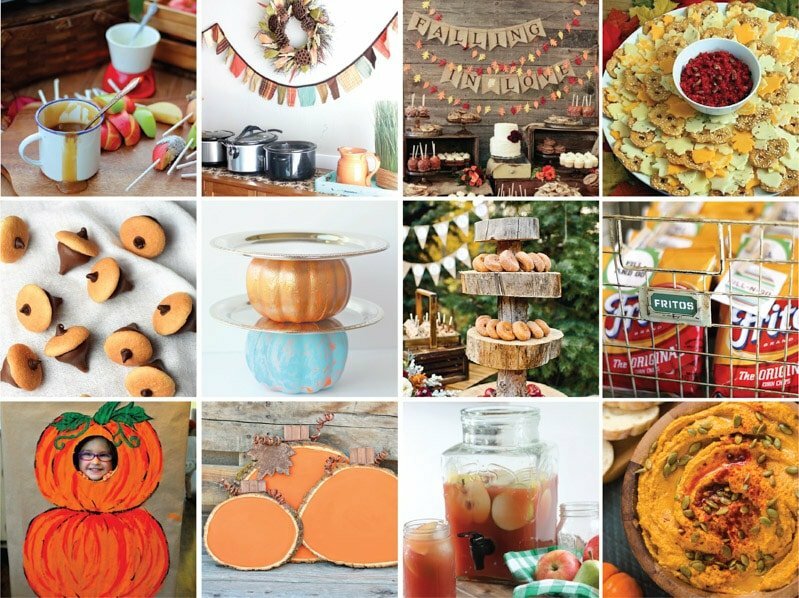 Don’t forget to pin these fall party ideas for later! 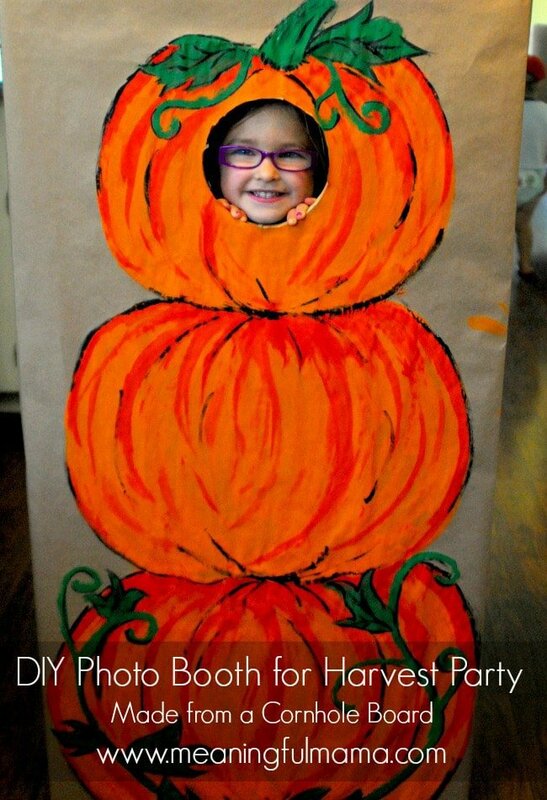 Great fall party ideas! Thanks for linking up last month to Life Inspired! 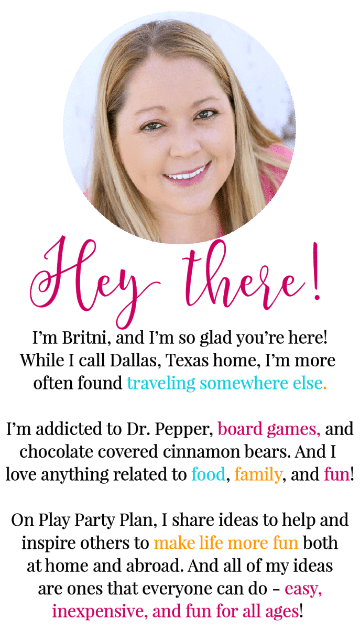 I featured your round-up! The pumpkin carving party is a great idea. I’ll have to set this up for next Halloween. It’ll be fun carving pumpkins & seeing who can create the best one. I’m going to come up with a scary prize for the winner. 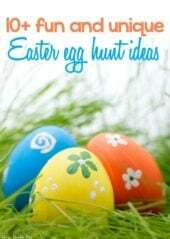 Thanks for sharing these party fab ideas. Great ideas,thank you so much! This is soo Awesome!!! You rock!